Kids costumes are cute, adorable and colorful. 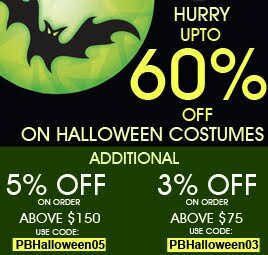 Halloween comes and we start looking for most popular and affordable Halloween Costumes for our kids. Though there are many options for Kids Halloween costumes still we get confused sometime and sometime popular costume gets out of stock in Halloween. Best is to start early and check all options available. We bring some fresh new costume ideas for kids. You can check below all costumes and decide for the best option for your little one. Dress your princess in Elena's costume and let her kingdom from all evil sorceress. This Disney costume is getting more popular in 2016 and this could be the first choice for all parents. So buy this costume before it gets out of stock. This costume includes a dress with belt and sculpted buckle. Dress up like a beautiful Genie and grant wishes to friends. This costume includes Headpiece, Arm Warmers, Pants and Top. Does not include shoes or bag. Dressed up like Alice from Through The Looking Glass and enjoy mysteries of wonderland. This costume includes Tunic, Pants and Collar. Dress up your kid in this Patriotic Costume and feel proud. Includes: Northern Uniform based jumpsuit with detachable belt and US buckle, distressed shoulder strap with gold medal detail and cap with screen-printed crossed swords. 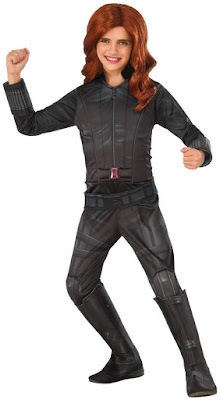 Most popular Avenger Black Widow Costume will be best for your little brave girl in this Halloween. Includes Jumpsuit, Boot Tops and Belt. Does not include Wig. This is an officially licensed Marvel product. Captain America - Civil War costumes will be very popular in this Halloween. Try this War Machine Muscle Chest Costume for your child. This costume includes Jumpsuit, Boot Tops and Mask. This is an officially licensed Marvel product. This Muscle Chest Falcon Costume includes Jumpsuit, Boot Tops and Eye Mask. This is an officially licensed Marvel product. This Superhero Halloween Costume includes Top with Removable Cape, Skirt, Headband, Wrist Bands and Belt. This is a cute Halloween Kids Costume and it includes 3D Plush Pullover with Detachable Tail, Headpiece. 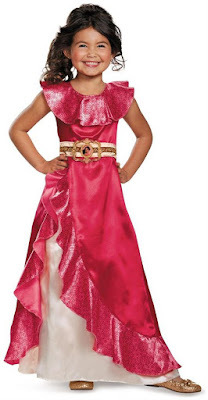 Cute and lovely Kids Halloween Costume includes Dress with Cameo.